This project will help the people of Wythenshawe to develop the skills and the passion to cook healthier, cheaper and more sustainable food. It will include cooking demonstrations, the development of cooking clubs, re-distribution of food waste and enterprise opportunities. 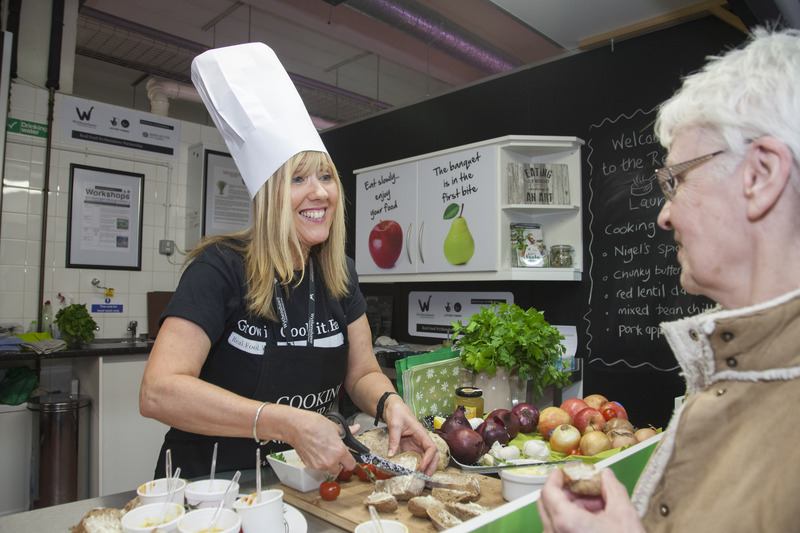 Since the start of the project, the team has been busy delivering cooking demonstrations at a pop-up cooking shop in the market, at numerous events, and at the tenants’ conference – all of which have been supported by volunteers who will be trained to set up regular cooking clubs. An emphasis of these cooking demonstrations has been to use local produce, reduce food waste, cook seasonally, add variety, and produce food from scratch. Food poverty has been high on the agenda with food bank mapping, breakfast clubs in school holidays and the identification of a location for a FareShare hub in Wythenshawe, which will re-distribute food to local community projects that would otherwise have gone into landfill.